To push for better, more responsive and more innovative governance, Sen. Bam Aquino is encouraging local government units (LGUs) to work with youth leaders and their organizations. In his amendment to Senate Bill No. 1843 or the Seal of Good Local Governance Act, Sen. Bam wants LGUs to establish youth development programs to ensure the meaningful participation of the youth in nation building. The senator said LGUs must develop enabling mechanisms and support systems to boost the involvement of the youth in governance. In his amendment, Sen. Bam has batted for the establishment of a Local Youth Development Council and a Youth Development Office in all LGUs, they can institute policies and programs geared to mold the youth into successful and kind-hearted citizens. “Bilang mga kinabukasan ng bayan, bigyan natin ng sapat na pagkakataon ang mga kabataan na makilahok sa pagpapatakbo ng pamahalaan at sa pagpapaunlad ng lipunan,” said Sen. Bam, who thanked Sen. Sonny Angara for accepting his amendments to the measure. Being a former youth leader and Chairman of the National Youth Commission, Sen. Bam is a known advocate of youth empowerment, pushing for enactment of laws that focus on the welfare of the youth. Among them is the SK Reform Act, which Sen. Bam pushed as co-sponsor and co-author. Also, Sen. Bam worked for the passage of Republic Act 10679 or the Youth Entrepreneurship Act during his term as chairman of the Committee on Trade, Commerce and Entrepreneurship in the 16th Congress. The law encourages young would-be entrepreneurs to establish their own business by providing them access to capital and other support. 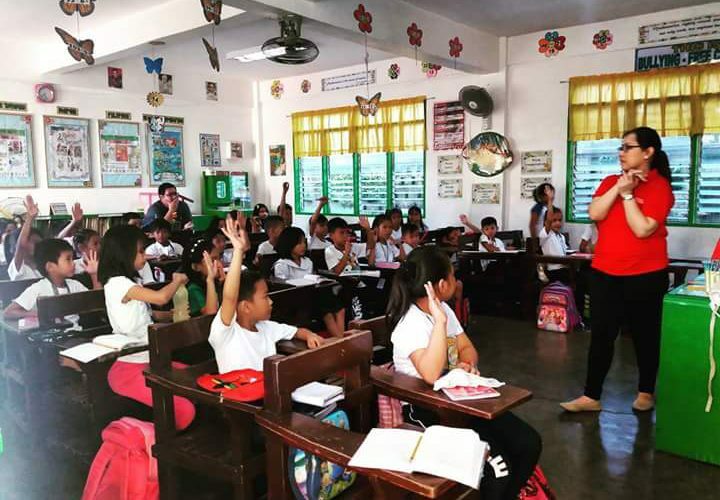 It also creates financial literacy modules in all levels of Philippine education, to inculcate a culture of enterprise development among the Filipino youth. The May 14 Sangguniang Kabataan (SK) election provides promising young leaders a level playing field through the anti-dynasty provision of the SK Reform Act, according to Sen. Bam Aquino. 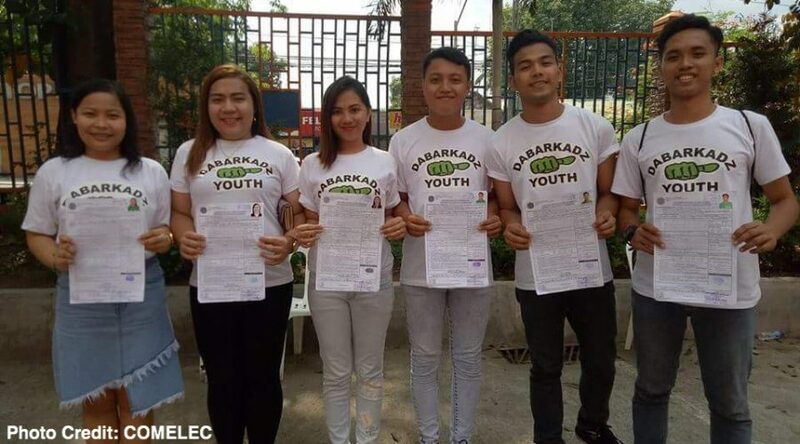 “Sa ilalim ng bagong SK Reform Act, lahat ay mabibigyan ng pagkakataong manilbihan, lalo pa’t maipatutupad na sa unang pagkakataon ang probisyon kontra political dynasty, said Sen. Bam in a radio interview on Friday, the last day for youth leaders to file their COCs in Comelec offices. Co-sponsored and co-authored by Sen. Bam during his term as chairman of the Committee on Youth in the 16th Congress, Republic Act 10742 or the SK Reform Act is the first law in the country with an anti-political dynasty provision. It prohibits relatives of elected officials up to 2nd civil degree of consanguinity or affinity from seeking SK posts. In past SK elections, Sen. Bam said the usual winners were related to incumbent local officials, like mayor, vice mayor, councilors, barangay captains and barangay councilors. “Ngayon, mabibigyan na ng patas na pagkakataon ang lahat na makapagsilbi sa bayan, kahit wala siyang impluwensiya o kamag-anak na nakaupo sa posisyon,” Sen. Bam stressed. The law adjusts the age limit for SK officials from 15-17 to 18-24 years old, making them legally capable of entering into contracts and be held accountable and liable for their actions. The SK Reform Act also requires SK officials to undergo leadership training programs to expose them to the best practices in governance and guide their development as leaders. Senator Bam Aquino encouraged the youth who want to serve their countrymen and make a positive impact in their communities by running in the May 14 Sangguniang Kabataan (SK) election. “Hinihikayat natin ang mga kabataan na nais maglingkod sa kapwa at sa bayan na tumakbo sa ilalim ng bago at pinalakas na SK,” said Sen. Bam, who pushed for the passage of Republic Act 10742 or the SK Reform Act as co-sponsor and co-author during his term as chairman of the Committee on Youth in the 16th Congress. “Ito na ang pagkakataon ng kabataan para magserbisyo at solusyunan ang mga problema ng komunidad,” added Sen. Bam. Sen. Bam also invited youth leaders to file their certificate of candidacy from April 14-20 and run for the new SK. The election will be on May 14. More importantly, the SK Reform Act has the distinction of being the first law in the country with an anti-political dynasty provision. It prohibits relatives of elected officials up to 2nd civil degree of consanguinity or affinity from seeking SK posts. With the barangay and Sangguniang Kabataan elections slated to push through as scheduled, Sen. Bam Aquino urged voters to choose the right leaders who will lead and protect their communities. “Tuloy na tuloy na ang barangay at Sangguniang Kabataan elections,” Sen. Bam said in a radio interview, despite the passage of a House measure calling for the postponement of the village polls on third and final reading. “Walang ipapasa na postponement sa Senado. Wala nang makapipigil pa sa halalan sa Mayo 14,” stressed Sen. Bam, adding that the people should be given a chance to choose their next community leaders. At the same time, the senator called on the public to choose their next leaders wisely, saying they should elect morally upright candidates and not those who are involved in illegal activities. The upcoming village polls will mark the first implementation of Republic Act 10742 or the SK Reform Act, the first law in the country that has an anti-political dynasty provision. “Pagkakataon rin ito para makita natin kung epektibo ang SK Reform Act at kung makatutugon ito sa pangangailangan ng kabataan,” said Sen. Bam, who pushed for its passage as co-author and co-sponsor during his time as chairman of the Committee on Youth in the 16th Congress. Senator Bam Aquino slammed the move to postpone Barangay and Sangguniang Kabataan elections from May to October, saying it will further delay the people’s chance to select their new leaders. On Monday, the House Committee on Suffrage and Electoral Reforms voted 14-2 to postpone the Barangay and SK elections from May 14, 2018 to October to coincide with the plebiscite on a new Constitution. Sen. Bam has been pushing for the holding of the barangay and SK elections, saying the selection of new village leaders is long overdue. “Marami nang nangyaring pagpapaliban ng halalan. Panahon nang matuloy ang halalan upang mabigyan ang taumbayan ng tsansang makapili ng karapat-dapat na lider sa kanilang barangay,” Sen. Bam stressed. Also, Sen. Bam wants to witness the full implementation of Republic Act 10742 or the SK Reform Act, the first law in the country that has an anti-political dynasty provision. Sen. Bam pushed for its passage as co-author and co-sponsor during his time as chairman of the Committee on Youth in the 16th Congress. “Pagkakataon rin ito para makita natin kung epektibo ang SK Reform Act at kung makatutugon ito sa pangangailangan ng kabataan,” said Sen. Bam. Under RA 10742, the age limit for SK officials is adjusted from 15-17 to 18-24 years old, making them legally capable of entering into contracts and be held accountable and liable for their actions. “Nananawagan tayo sa ating mga kabataan na aktibong makilahok sa SK at barangay elections, bilang kandidato man o bilang botante. Ipakita niyo ang inyong boses sa pamamagitan ng pagboto, lalo na ngayong tinutulak ang no-el at term extension,” said Sen. Bam. “We should push through with the elections. There is no reason to postpone it further,” Sen. Bam stressed, amid reports that administration lawmakers are planning to postpone the Barangay and SK elections to October or November this year. The filing of certificate of candidacies will be from April 14, 2018 to April 20, 2018 while the campaign period will be from May 4, 2018 to May 12, 2018. “We want to see the SK elections push through. This will be the first time that an anti-political dynasty provision in our laws will be implemented,” said Sen. Bam, referring to Republic Act 10742 or the SK Reform Act. Sen. Bam pushed for its passage as co-author and co-sponsor during his time as chairman of the Committee on Youth in the 16th Congress. Sen. Bam Aquino called on the government to leave no stone unturned to ensure that the long-overdue barangay and Sangguniang Kabataan (SK) elections will be held as scheduled in May 2018. 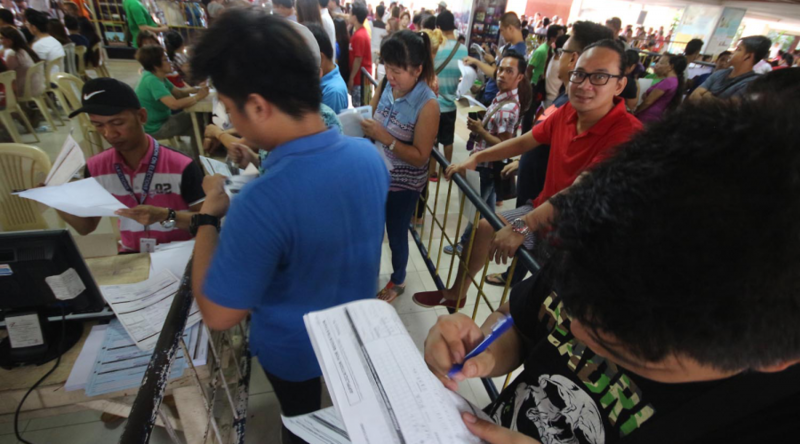 “The imminent postponement of the barangay and SK elections next month will give our election officials and other stakeholders an additional eight months to prepare and iron out all the kinks,” said Sen. Bam. ‘This election is long overdue kaya dapat tiyakin ng ating mga opisyal na ito’y matutuloy na sa susunod na taon. Wala nang maaari pang gamiting dahilan dahil may sapat silang panahon para plantsahin ang lahat ng gusot,” added Sen. Bam. 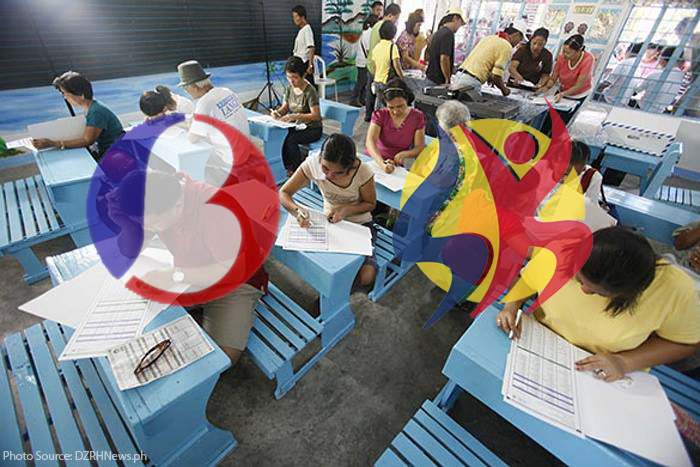 The measure seeking to postpone the barangay and SK elections was recently approved by the House and Senate. There will be no bicameral conference committee as the House adopted the Senate version of the measure on Monday. The Senate version calls for the postponement to May 2018 and the holdover of current officials until the elections. At the same time, Sen. Bam urged the Commission on Elections (Comelec) and other private stakeholders to help encourage the youth to participate in the 2018 SK elections to give them a chance to work for the welfare of their sector. “Kailangan nating kumbinsihin ang ating mga kabataan na lumahok sa nakatakang SK elections sa susunod na taon upang mabigyan sila ng pagkakataong makapag-ambag para sa kanilang kapakanan at sa pagpapalakas ng komunidad,” explained Sen. Bam. Sen. Bam said the 2018 SK elections must push through to check if Republic Act 10742 or the SK Reform Act will initiate reform in the SK and make it more responsive to the needs of the country’s youth and the development of the next generation of leaders. The law, which Sen. Bam pushed as co-author and co-sponsor during his time as chairman of the Committee on Youth in the 16th Congress, law adjusts age limit of SK officials from 15-17 to 18-24 years old, making them legally capable of entering into contracts and be held accountable and liable for their actions. Let the people and the youth elect their barangay leaders. Sen. Bam Aquino made this call as he criticized efforts to allow President Duterte to appoint barangay officer-in-charge once the barangay and Sangguniang Kabataan (SK) elections are postponed. 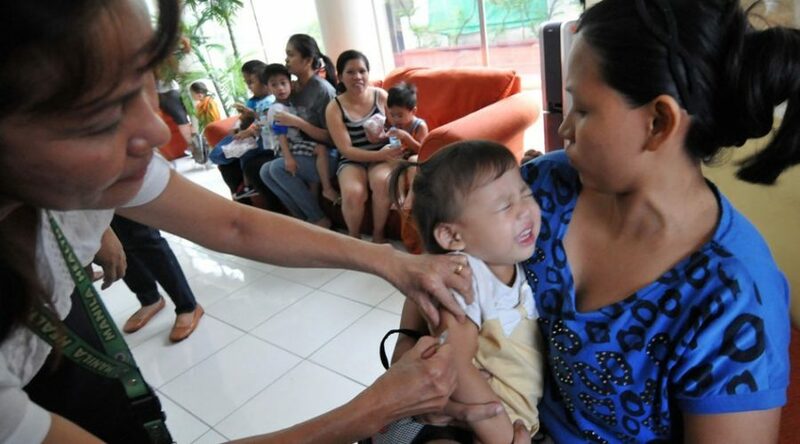 “We stand firmly against appointing barangay officials. These leaders should represent the people, serve the people and not to be indebted to Malacanang,” said Sen. Bam. “We must uphold our democracy and respect the right of the Filipino people to vote and elect their barangay leaders,” added the senator. The lawmaker insisted that the people’s right to choose their leaders through the ballot is a foundation of our democracy that lawmakers must recognize and respect. “Even if we hold over the current officials before the next elections, at least they have the mandate from the people,” said Sen. Bam. 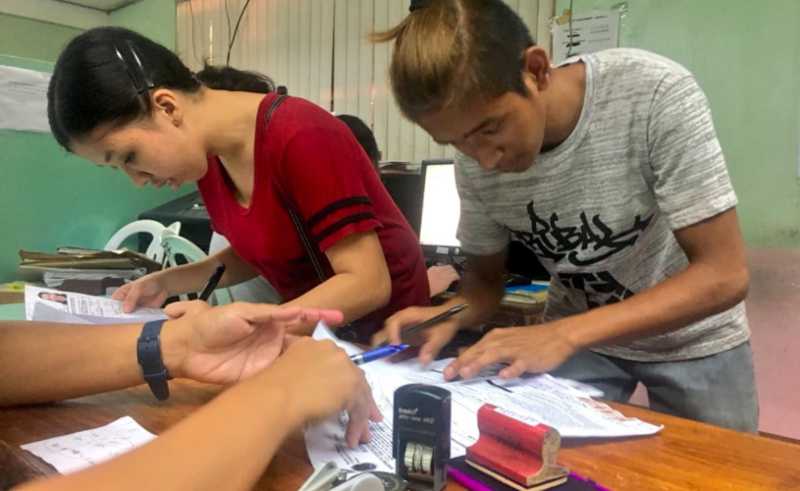 But Sen. Bam wants the barangay and SK polls to push through this October, saying it is long overdue, most especially the implementation of Republic Act 10742 or the SK Reform Act. “The last SK election was seven years ago. Since then, we’ve reformed the SK and even included an anti-political dynasty provision. I would personally want to see the SK elections push through to empower our youth leaders,” said Sen. Bam. As a former student leader and former chairman of the National Youth Commission, Sen. Bam has long advocated for the welfare of the Filipino youth through several legislations, including RA 10742, which he pushed as co-author and co-sponsor during his time as chairman of the Committee on Youth in the 16th Congress.